What does it take to come back from challenging time and go beyond just “okay,” to flourishing? That’s what we talk about with today’s guest and good friend of mine, Kari Gormley in this special bonus episode. Kari is a coach based in the principles of Positive Psychology and host of The Running Lifestyle podcast. She’s also a mom on a mission to maintain the running lifestyle while balancing everything else in life, including family, career and wellness. Find out more about Kari at TheRunningLifestyle.com. To move beyond functioning to flourishing, we need to invest in our well-being and peace of mind. Then, we can do everything better. 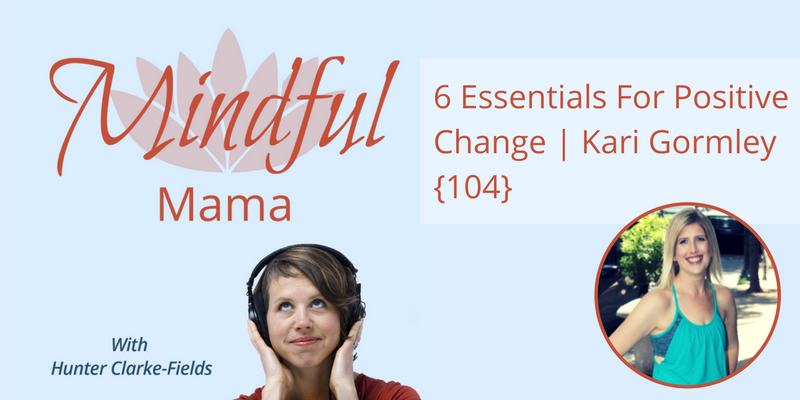 Kari’s experience with Mindful Parenting and the positive impact it’s made on her life.